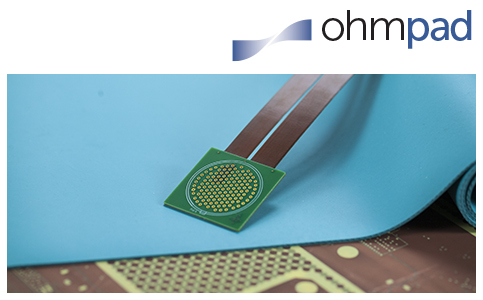 ohmpad is the ohmvo family product of high performance silicone rubber designed for use in rigid and rigid-flex multilayer printed circuit boards. It works in a wide range of process pressures and temperatures, eliminating the need for throwaway pressure distribution elements as: kraft, blotter and other non woven papers. ohmpad is available with and without rigid aluminum back for better pressing experiences.